Jeanette MacDonald and Nelson Eddy are at their sparkling best in SWEETHEARTS (1938), available from the Warner Archive. 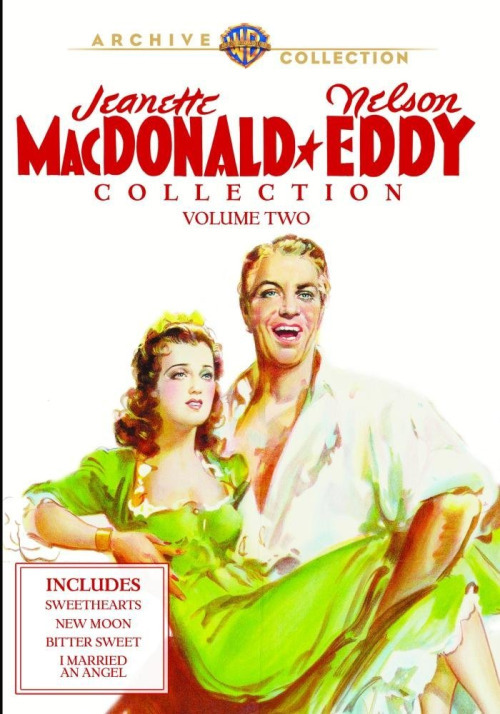 SWEETHEARTS is part of the Jeanette MacDonald and Nelson Eddy Collection, Volume Two. I've previously reviewed NAUGHTY MARIETTA (1935) from Volume One, and I'll be reviewing the remaining films from each collection in the future. They're each wonderful sets which fans of the famous singing team will want to add to their DVD shelves. In SWEETHEARTS Jeanette and Nelson play Gwen and Ernest, stars of a very long-running Broadway show (also called SWEETHEARTS) who are celebrating their sixth anniversary. Gwen and Ernest have a busy schedule which also includes commitments such as radio shows and charity benefits; they accept this as part of a job which they're grateful to have, but they're growing weary of the routine. They also have a large circle of relatives who demand their time and attention...so when Hollywood calls, in the form of studio rep Norman Trumpett (Reginald Gardiner), making movies on the West Coast sounds like a nice break. Some of the theater people who stand to lose out if Gwen and Ernest pull up stakes and head West decide to make Gwen think Ernest is in love with their secretary (Florence Rice), correctly guessing that will cause the Hollywood plans to collapse. Instead Gwen and Ernest are each sent on the road in separate touring companies of SWEETHEARTS, opposite their understudies (Douglas McPhail and Betty Jaynes). Most of the movie is a lighthearted, fizzy delight, with a sharp screenplay by Dorothy Parker and Alan Campbell. It's got romance, singing, and beautiful Technicolor. What more could MacDonald-Eddy fans want? The "separation" plotline in the last quarter of the film is annoying, and the film begins to wear out its welcome. Fortunately that section of the film is relatively short-lived, as Gwen and Ernest realize what happened and (of course!) reunite. Some of the singing sequences in SWEETHEARTS are especially charming. 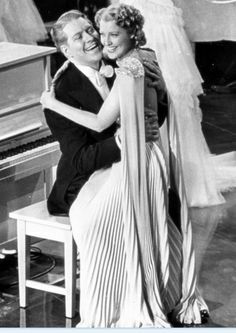 My favorite was when Gwen and Ernest invite the theater audience to join them in an encore of "Sweethearts" mixed with "Auld Lang Syne," as they walk out on a platform amongst the audience. MacDonald and Eddy seem so natural together here, a very comfortable team, which of course they were, not only in the story of SWEETHEARTS but as the actors making the film! "Pretty as a Picture," sung at a nightclub party, is a lot of fun, as they seem to be having a genuinely good time, and her reactions when he runs in late to sing a radio duet are also enjoyable to watch. SWEETHEARTS is a great chance for those who love MacDonald and Eddy to watch them doing everything they do best, singing and having what seems to be a wonderful time together. The audience has a good time too. The film has a rather amazing supporting cast which is something of a "who's who" of character actors, including Frank Morgan, Allyn Joslyn, Mischa Auer, Lucile Watson, Gene and Kathleen Lockhart, Fay Holden, George Barbier, Raymond Walburn, Berton Churchill, Olin Howland, and Irving Bacon. SWEETHEARTS was directed by W.S. Van Dyke and the uncredited Robert Z. Leonard. It was filmed in Technicolor by Oliver T. Marsh and Allen Davey. The running time is 114 minutes. 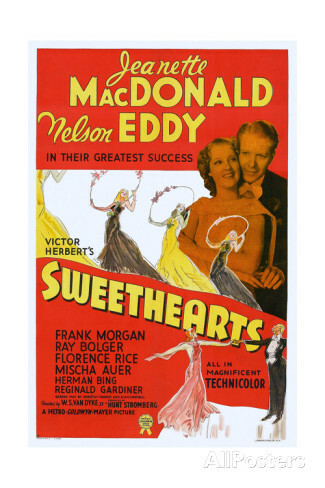 The extras which were included on the Archive's previous release of SWEETHEARTS are included here, consisting of a pair of radio shows, prerecording sessions, and the trailer. The initial sets sold directly by the WBShop consist of silver-backed pressed discs. The other films in this collection consist of NEW MOON (1940), BITTER SWEET (1940), and I MARRIED AN ANGEL (1942), and it's highly recommended. It's funny, but the MacDonald/Eddy movies hardly ever get discussed on line.They only made about three films in modern dress, and it's a nice change. I'll never forget sitting inside the MGM studios,watching SMILING THROUGH on a big screen. Wow, that takes me back - 1979! What a great memory of seeing a movie at MGM -- there must be a good story behind that? I saw a movie at MGM in 1976 -- a preview of THAT'S ENTERTAINMENT, PART II. I was inside MGM ( well, as far as the projection room) with the Jeanette MacDonald fan club. It was such a thrill to walk through the MGM gates. To me, all Jeanette's MGM movies with Nelson Eddy, and the one with Allan Jones, were great - but when is Warner Archive going to issue a high-definition version of my favorite one, Maytime? (I meant as a single title - not part of a set). How wonderful, Vienna! I remember reading mailings my dad got from the fan club in that era. Clayton, I agree, she's wonderful! Such a great actress as well as a great voice. What a talented lady. Mel, it's been a long time since I've seen FIREFLY -- that's one I saw as a kid on the big screen at the Vagabond Theater in Los Angeles. Every movie I saw there stands out in the memory! 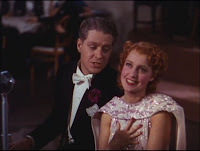 Warner Archive seems inclined to put musicals out on Blu-ray -- I'll be reviewing DEEP IN MY HEART before too long -- so perhaps one day MAYTIME will make it!